Mr. John J. Miliauskas III has a lifetime of experiences in instrumental music and marching activities. His father was the band director at Lake-Lehman High School (Lehman, PA) for thirty-six years. After graduating from Lake-Lehman himself in 1981, John played mellophone in the Penn State Blue Band (University Park, PA) in 1981 and 1982, as well as in the Garfield Cadets Drum and Bugle Corps (Garfield, NJ) in 1982 and 1983. John continued his marching experiences at West Chester University (West Chester, PA) as drum major for three years, from 1984-1987. He also was drum major for the Reading Buccaneers Drum and Bugle Corps (Reading, PA) in 1986. Following his marching experiences, John moved on to gain many accomplishments as a drill designer. He started with his father at Lake-Lehman High School, where he was a member of the instructional staff from 1982-1988, performing various duties including marching and music instruction, programming, drill design, and assistant director. During these years, the band won the Cavalcade of Bands American Class State Championships in 1984 and 1987, as well as the Tournament of Bands Atlantic Coast Championships in 1984, 1986, 1987, and 1988. After his father’s retirement, John expanded his high school drill writing to numerous programs including the 1989-2000 Red Land High School Marching Bands (Lewisberry, PA). During this time, the program achieved three Tournament of Bands Atlantic Coast Championships, six Chapter VI Championships, and a Macy’s Parade appearance in 1998. John also for the 2001-2003 Quakertown High School Marching Bands (Quakertown, PA), as well as the Cypress Creek High School Marching Band (Orlando, FL), which won its division and made finals at the 1994 Bands of America Southeast Regional, placing fourth overall. In addition to these advanced level programs, John has written dozens of shows at the basic and intermediate levels for bands having anywhere from forty total members to over 250 total members. In his twenty years of writing since his start at Lake-Lehman, some of the more notable programs he has designed drill for beyond the high school level include the 1992 and 1993 Crossmen Drum and Bugle Corps (Philadelphia, PA). Crossmen were Drum Corps International World Finalists during both seasons. In 1992, the corps placed sixth in the DCI Finals Championship, earning their highest finish ever to that point. John has also written for the West Chester University Golden Rams Marching Band from 1984-1987 and 2000-present, the 1991 Magic of Orlando Drum and Bugle Corps (Orlando, FL), the 1988 and 1989 Reading Buccaneers Senior Drum and Bugle Corps, and the 2001-2003 Govenaires Senior Drum and Bugle Corps (St. Peter, MN). As a well-rounded drill designer, John has written for many indoor color guard and indoor drumline ensembles, including the 1987 and 1988 Threshold Indoor Color Guards (West Chester, PA), the 1996-2000 Red Land High School Indoor Color Guards (Lewisberry, PA), the 2002 Penn State Eclipse Indoor Color Guard (University Park, PA), the 2002-2003 Huntingdon High School Indoor Drumlines (Huntingdon, PA), which was the 2002 TIA All-Chapter Scholastic A Champion, and the 2002-present Bpex Winter Guards (Wilmington, DE). Several of these groups have achieved such accomplishments as Winter Guard International semi-finalists and finalists on both the regional and national levels, along with regional circuit champions. Mr. John Miliauskas was the Director of Bands at Crossroads Middle School in the West Shore School District (Lewisberry, PA) from its opening in 1993 until 2002. During his tenure, the Crossroads Band Program commissioned Robert W. Smith to compose At The Crossroads, A Dedicatory Fanfare, which was published through Belwin Publications and is widely performed. From 1994-2000, the Crossroads Bands received consistent superior ratings at PMEA (Pennsylvania Music Educators Association) Concert Band Adjudication Festivals. This culminated with a performance at the PMEA State Conference in April of 2001 by the Crossroads Wind Ensemble. In addition to this honor, the Crossroads Bands have performed with guest soloists including Dr. Brian Bowman on euphonium from the University of North Texas, Mr. Matt Niess on trombone from the Army Blues Jazz Ensemble and Capitol Bones of Washington, DC, and Mr. Seneca Black on trumpet from the Lincoln Center Jazz Orchestra of New York, NY. A brother of Phi Mu Alpha Sinfonia and an honorary member of Kappa Kappa Psi, Mr. John Miliauskas completed his Masters of Music in Music Education with a performance option in conducting at West Chester University in May 2004. He is a member of the following professional organizations: The National Association for Music Education (MENC), National Band Association (NBA), and College Band Directors National Association (CBDNA). Taylor received his Bachelor of Music Degree in Percussion Performance from the University of Massachusetts in 2013. While at UMass, Taylor had the privilege of studying with professors Ayano Kataoka and Thomas Hannum. 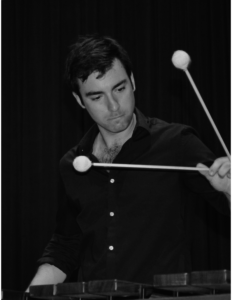 Through his studies and experience at UMass, Taylor began to develop his own unique perspective on percussion, striving to combine his marching and rudimental background with his passion for solo, classical, and chamber percussion music. Throughout his performing career, Taylor has won numerous awards for outstanding musicianship. These awards include the 2012 Vic Firth Scholarship, the Chancellor’s Talent in the Arts Scholarship from the University of Massachusetts, and the “Semper Fidelis” award for Musical Excellence presented by the Marine Corps League. During his two years as the Timpanist for the Cadets Drum and Bugle Corps, Taylor won a World Championship with the Corps in 2011 and was awarded the Cadets Distinguished Service Award in 2012. Most recently, Taylor was a prize-winning soloist in the 2015 Atlanta Modern Snare Drum Competition and was honored to be featured as a Vic Firth artist and educator. 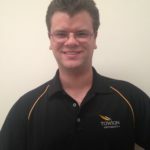 Taylor has led and arranged for programs at the high school and collegiate level in Maryland, Connecticut, Massachusetts, Minnesota, Texas, and Florida. These programs include the University of New Haven Chargers Marching Band, Atholton High School, Mount Holyoke College, and The University of Miami. Taylor also spent four years as a percussion staff member with the Cadets Drum and Bugle Corps. During Taylor’s first year as a Cadet Staff member, the Cadets Percussion section won the Fred Sanford trophy for high percussion performance. Currently, Taylor works as a percussion instructor for the Boston Crusaders, a drum and bugle corps based out of New England. Taylor completed his Master of Music Degree in Percussion Performance from the Frost School of Music. During this time, Taylor studied with world-renowned percussionist Svet Stoyanov, directed the Miami “Frost Band of the Hour” Drumline, and performed throughout the rich musical scene in Miami. After graduating from The University of Miami, Taylor moved to Orlando, Florida to work as the Assistant Director of Bands/Director of Percussion Studies at William R. Boone High School. During this time, Taylor maintained an active performance schedule throughout central and southern Florida while appearing with groups such as the Orlando Philharmonic Orchestra, the Southwest Florida Symphony, and the Gulf Coast Symphony Orchestra. Having worked as a musician, educator, and arranger throughout the country, Taylor originally grew up in Columbia, Maryland. Towson University played an important role in Taylor’s music education at that time, and he is thrilled for the opportunity to move home and give back to this great program. Amy Merritt is from Hagerstown, MD and has been involved with music performance since she began playing the piano and flute in 4th grade. She participated in concert band in elementary, middle, and high school. 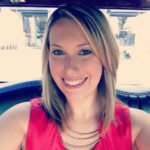 In elementary school, Amy was a member of the Washington County Show Kids majorette group where she discovered “flag twirlers.” It was in high school where Amy b egan her passion for color guard: performing with the North Hagerstown High School Marching Band as well as the Indoor Color Guard. After graduating from high school in 2004, Amy continued developing her skills as a performer with marching in DCI for the Crossmen Drum and Bugle Corps from 2004-2007. While with the Crossmen, she was on the weapon line all four years and served as Color Guard Captain in 2006 and 2007. In 2008, she marched WGI with The Black Watch and was part of the rifle line. Unfortunately, due to an injury, she had to end her WGI season early. In the past 10 years, Amy has instructed, choreographed, and directed numerous High Schools across the tri-state region. Her color guards have won numerous “Best Guard” Awards at TOB, BOA, and USBANDS Marching Competitions and won Championship Medals in the KIDA Indoor Circuit. Amy returned to her alma mater 3 years ago and held the Color Guard Designer/Choreographer position for North Hagerstown High School. They recently placed 3rd at the 2015 KIDA Championship Competition. In 2010, Amy was an instructor for the Raiders Drum and Bugle Corps. During the 2014 Drum Corps season, Amy was the Color Guard Caption Head for the Thunder Brigade Drum and Bugle Corps, which is the first Maryland Drum Corps. Amy received her Bachelor Degree in Sociology from Shippensburg University of Pennsylvania in 2011. Over the past 4 years, she has worked at a Juvenile Placement Facility as a Counselor and a Life Skills Supervisor; and as a Paraprofessional in Washington County Public Schools for Alternative In School Instruction. In her spare time, Amy provides Respite Therapy for a child who is on the Autism Spectrum through Penn Mar Human Services. Amy is incredibly excited to begin this journey with the Towson University Marching Band and is looking forward to assisting in the growth of this incredible program. Alexander is the Percussion Caption Head and Tenor Technician and prides himself on hard work, dedication, and attention to detail. He has been with the program since 2016. Originally a native of Rochester, NY Alexander now lives and works in Baltimore, MD. He is very familiar with the Marching Arts as he has grown up around drum corps including the Empire Statesmen, the Rochester Crusaders, and Rochester Patriots drum corps; all based in Rochester, NY. He has been a marching member of several drum corps always striving to hone his skills and reach the next level. In 1999 Alexander was a member of the Rochester Patriots drum corps as a member of the tenor line with a record undefeated season. The Patriots took 1st place at the DCI Division II World Championships and were the recipient of the Fred Sanford High Percussion Award. In 2000 Alexander was a member of the Rochester Crusaders Sr. Corps earning his first teaching role as a marching technician in the tenor line. Then in 2001 he joined the Bluecoats drum corps as a member of the “BlueQ” tenor line. For his age-out year in 2002 he was a member of The Cadets drum corps as a member of the “QB” tenor line achieving an undefeated percussion season culminating with the receipt of the DCI Fred Sanford High Percussion Award. 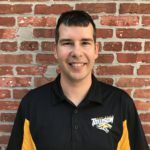 Alexander has taught several High School Marching Bands including Central Square NY, Eastridge NY, Calvert Hall MD, Westminster MD, Perry Hall MD, and is currently teaching at Atholton MD. Under his leadership, his groups have excelled and have earned awards inlcuing Maryland State group Champion, Maryland State High Percussion, and Bands of America (BOA) Regional Champion. Teaching several different groups has allowed him to experiment with different learning styles and methodologies as well as gain valuable insight and understanding of the different culture and dynamic of each group. Professionally, Alexander is a graduate of the State University of New York at Oswego with a B.A. in Information Science and a Masters in Business Administration. He works in Information Technology as a Network Engineer in Baltimore, MD designing and maintaining large global computer networks. Tavon is from Baltimore, MD and has been engaged in percussive arts since 2004. During his marching career, Tavon has marched snare and bass from 2004-2008 during his high school years at Baltimore Polytechnic Institute, snare and bass at Morgan State University from 2008-2010 and 2012, cymbals and bass for the Baltimore Raven’s marching band in 2005, snare at local Baltimore community band The Marching Elite, snare at Chesapeake Indoor from 2009-2011, and bass at Towson University from 2013-2015. During Towson’s 2016 season, Tavon returned as a member of the staff. 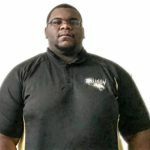 Tavon is eager to continue his growth as an instructor and is proud to be in a position to pass on the traditions of pride, hard work, and fun deeply connected with the marching arts. Outside of marching band, Tavon graduated Morgan State with B.S in Computer Science in 2012 and is currently pursuing M.S in Computer Science Software Engineering at Towson University. Tavon works in Information Technology field as a System Administer at Aberdeen, MD where he implements and maintains database systems for enterprise applications. A graduate of B.S. in Philosophy and Religious Studies in 2012 from Towson University, and former member and SMAC for the Cymbal line from 2007-2011, Nick then became a Cymbal technician and educator for Towson University Marching Band in 2012 and continues to this day. He graduated from Dulaney High School in 2007 and was in the Lion’s Roar Marching Band for his entire high school career. He continues his position as Percussion Caption Head/Arranger with Dulaney High School to the present. He also consults for several high school cymbal lines throughout the country. He received his A.A. in Music with a concentration in Percussion from the Community College of Baltimore County in 2010. Currently he is studying toward his M.A. in Theology with a focus on Historical/Systematic Theology, Moral and Liturgical Theology at St. Mary’s Seminary and University in Baltimore, MD. Nick marched in the Bridgemen Alumni Drum & Bugle Corps from Bayonne, NJ from 2006-2008 and with the help of Dennis Delucia has had a great impact on him as a musician, composer and educator. He then went out to Dubuque, IA to march cymbals with Iowa’s Ambassadors of Music, the Colts Drum & Bugle Corps from 2009 to 2010 his age-out year. It is the experience at the Colts with the cymbal knowledge and teaching styles of Diaz Clark, Jack Borland, Ben Gervais, Lauren Sakowski, Thein Quoc Pham-Tran and Chase Higgins and many others that would define the kind of instructor he is today. Then Nick went to be on the Visual staff for Fusion Core from Morris County, NJ in 2012 to gain more experience in how a show can be told with varying body movements and visuals that he and the staff came up with. He was on the Administrative staff at Jersey Surf Drum & Bugle Corps from Camden County, NJ in 2015. As of 2014, he has become the drill designer for Medellin Vanguardia (MEVA) from Medellin, Colombia. South America, a position to create a positive change in the lives of the people of Colombia, Medellin, and throughout Central and South America. He is a member and supporter of “Kymbos” a DCI (Drum Corps International) and WGI (Winter Guard International) cymbal fraternity. Nick enjoys traveling, composing music, eating world cuisine, learning languages, hanging with friends and playing cymbals whenever he gets a chance. Nick looks forward to this upcoming season with this ensemble and the Cymbal section. Nick is heavily involved within the international cymbal instruction community as being innovative every year and a source of leadership within this cymbal community. A well versed musician in the concert, marching, and jazz percussive arts, Nick Mullen has been building a diverse approach to mallet percussion since the age of 16. Comfortable in seemingly any style of music, he has performed with world-renowned marching ensembles such as George Mason University Indoor Drumline, Reading Buccaneers Drum and Bugle Corps, and the Spirit of Atlanta Drum and Bugle Corps. He continuously performs in the non-rudimental percussion realm as well, performing with numerous jazz groups and concert ensembles at the University of Maryland, Baltimore County. His list of repertoire in the classical and contemporary percussion realm is dynamic, reaching all the way from more standard literature written by J.S Bach, Gordon Stout, and Emmanuel Sejourne, to more contemporary styled voices in the percussion realm such as Owen Clayton Condon, Vinko Globokar, Ivan Trevino, and Phillip Glass. Nick has premiered numerous compositions over his years of study, including the premier performance of Rob Wolk’s “Now and Then LP” at the Maryland / Delaware Percussive Arts Society’s Day of Percussion at Towson University. His work in the jazz realm is also diverse, having played with numerous local, national, and world-renowned musicians. Such musicians include Howard Johnson, Julian Brezon, Aaron Agre, John Pineda, Manuel Ayala Sapelli, Raymond Robinson, and Dominic Smith. As an educator, Nick has been teaching rudimental and mallet percussion in Maryland for over 3 years. He has assisted in the education of ensembles at Century High School (Sykesville, MD), Jefferson High School (Shenandoah Junction, WV), Brunswick High School (Brunswick, MD), Tuscarora High School (Frederick, MD), Governor Thomas Johnson High School (Frederick, MD), North East High School (North East, MD), Calvert Hall College High School (Baltimore, MD), and the Towson University Marching Band (Towson, MD). Under his tutelage, numerous awards have been received by the groups he has educated. Such awards include the US Bands 2015 Group I Open High Percussion award (Calvert Hall College), as well as the 2015 KIDA White Class Gold Medal (Brunswick/Tuscarora High Schools) and the 2016 KIDA Blue Class Silver Medal (Governor Thomas Johnson). Nick has studied music since the age of 4, and has been studying percussion since the age of 9. He was a member of numerous ensembles throughout his high school career, and was the member of the Frederick All-County High School Concert Band and Jazz Ensemble, as well as the Maryland All-State Jazz Ensemble. He now attends University of Maryland, Baltimore County, where he will be receiving his BA in Jazz Studies in May of 2017. He has studied under and worked with many world-renowned performers and educators, including Mike Noonan, Matt Belzer, Lisa Cella, Wendy Salkind, Patrick Crossland, Greg Tsalikis, Tom Goldstein, Greg Herron, and Tom Lagana, among others. Currently, Nick resides in Frederick, Maryland. Gary Williams returns to the TIGER Marching Band for a sixth year as a member of the instructional staff. A member of the band from 2000-2004, Gary marched in the trumpet line as a freshman before serving as the TIGER’s Head Drum Major for next three years. Gary was the recipient of the 2003 Director’s Award for outstanding dedication and service to the Tiger Band. He is also an alumnus of the National Honorary Band fraternity, Kappa Kappa Psi. In addition to the TIGER Marching band, Gary is the assistant marching band director at his high school alma mater, Franklin High School. Gary was member of the Franklin Marching Band from 1996-1999 and served as Drum Major from 1997-1999. A member of the FHS staff since 2000, his current responsibilities at Franklin include show and drill design along with marching, music, and brass instruction. 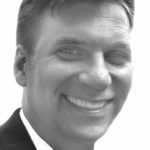 For the past 11 years Gary has worked for Williams Scotsman, Inc. in the Information Technology and Marketing departments. Over the past 3 years he has served as the company’s Online Services Manager with strategic and tactical responsibility of the companies Internet/Intranet/Extranet properties as well as online marketing programs. Kendall Appleby is a recent graduate of Towson University, earning a Bachelor of Science in Electronic Media and Film in spring of 2018. She was a member of the flute/piccolo section of the TUMB for all four years of her college education, and is an alumna sister of the National Honorary Band Sorority Tau Beta Sigma. While at Towson, she was a crew member of the WMJF studio; she helped direct, shoot, and edit videos for Towson University’s own television station. In 2017, Kendall produced an award-winning PSA for the Maryland State Police Vehicle Theft Prevention Council and the Maryland/DC Anti-Car Theft Committee that is currently playing on WBAL Radio 1090 AM. She has also produced several documentaries, promotional videos, and parody sketches. Despite being a recent TUMB alumna who is no longer marching, Kendall is excited to remain a part of the TUMB by doing what she loves with who she loves.